ALESSANDRA CORONA is from Cagliari Italy (Sardinia) and was trained in ballet at the National Ballet Academy in Rome. She also studied Graham, Limon, Cunningham and Jazz techniques (Luigi, Matt Mattox) at the Renato Greco School. In Italy she danced for ASMED Ballet Company directed by Paola Leoni, Renato Greco Dance Company, Vittorio Biagi, and Gino Landi (RAI TV). Upon moving to New York, Alessandra became principal dancer with Ballet Hispanico for 12 years, originating roles in ballets by Ramon Oller, Ann Reinking, Vincente Nebrada, Christopher Gillis, Graciela Daniele, David Rousseau, Maria Rovira and others. With Ballet Hispanico, Alessandra performed in their regular season at the Joyce Theater and at other major New York Theaters, and toured with the company throughout the USA, Europe, and South America. Ann Reinking selected Alessandra to dance for 2 years in the international tour company of the musical “Fosse” then in the City Center ”Encore” production of the Richard Rodgers musical “No Strings” both directed by Reinking. She has performed as a guest artist at various international dance festivals and with companies including Michael Mao Dance Company. 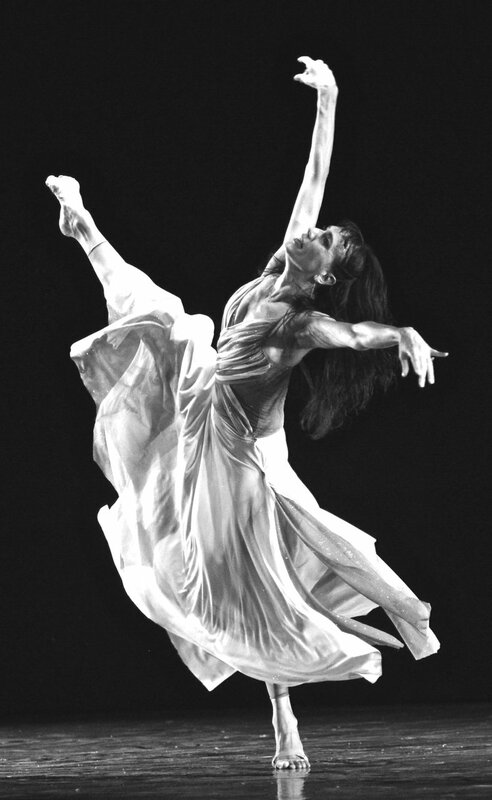 For more than 25 years Alessandra has taught ballet, modern, and jazz techniques in Italy and in the USA. She is also a certified Gyrotonic and Gyrokinesis trainer in NYC. In 2012 she founded “Alessandra Corona Performing Works” where she directs and performs in her own productions. “Dinner With Friends” (2012) was choreographed and staged by Ramon Oller and was been performed in New York, Sardinia and Rome. “Dulcinea in Manhattan” (2014) was choreographed and staged by the legendary Italian Director Gino Landi, was performed in Rome at the Villa Pamphilj summer festival.”Thorns of the Crown” ( 2016) choreographed and staged By Ramon Oller was performed in NYC. The production “Amore Impossibile” choreographed by Kristian Cellini and “Just Joy” choreographed by Guido Tuveri was presented in New York City in May 2017 and toured in Italy in April 2018. In summer 2018, Alessandra won an European grant to collaborate with two Italian theaters for the realization of “Let Me Try” where she choreographed the entire performance. It was presented in Sinnai, Rome and New York at the Gelsey Kirkland Arts Center. The production “W2! (Women Too! )” choreographed by Manuel Vignoulle and “InnerAction” choreographed by Guido Tuveri & Company, was presented at Gelsey Kirkland Theater in Brooklyn in December 2018. Coming soon: a new production of ACPW will be presented at The Theater at St. Jeans in NYC this coming June 1st and 2nd. I started “Alessandra Corona Performing Works” in New York City to create and develop new multi-disciplinary projects. My goal is to make artistic works that integrate dance, music, theater, video and film arts, for presentation in the United States and around the world. My passion is to create art collaborating with high-level professional artists from different performing art disciplines. I have assembled remarkable and unique artists. ACPW Dance Company is featured on Sardegna 1 tv channel !